I had a bit of time yesterday afternoon to stamp so I grabbed my November kit from Simon Says Stamp and sat down with The Paper Players current sketch for inspiration. The kit came with Lawn Fawn Snow Day papers, I just love these papers, they are adorable! I used one of the papers that reminds me of big fat snowflakes as my main square and then added a banner of red and a scallop border, both from the same paper. I stamped the trees in SU Garden Green and arranged them where the circle in the sketch is. I grabbed a retired SU Real Red button and some bakers twine and adhered that to the banner. On the white cardstock I added falling snow in Pool Party and the sentiment is stamped in Real Red. LOVE this! 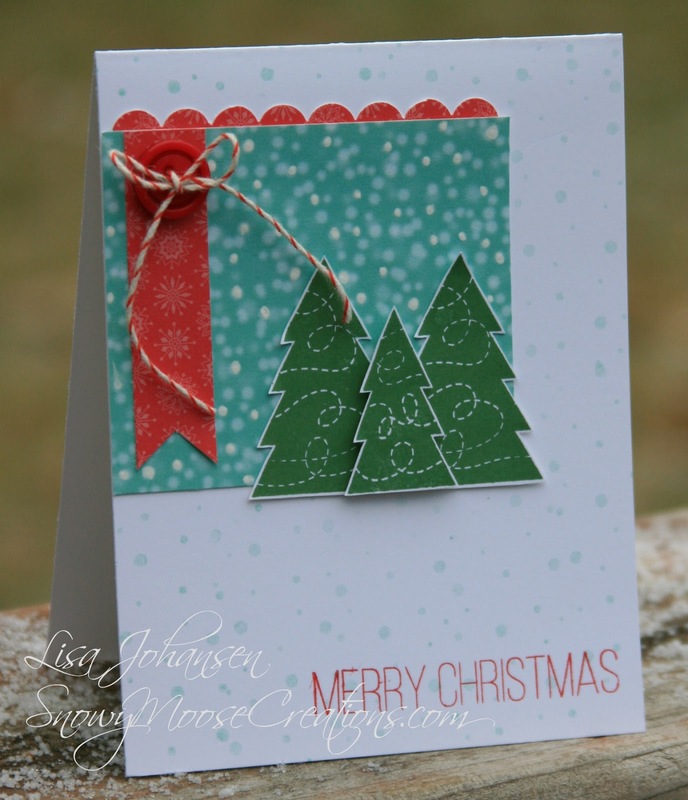 That paper does look like snowflakes, and I love those trees! Great color combo too! 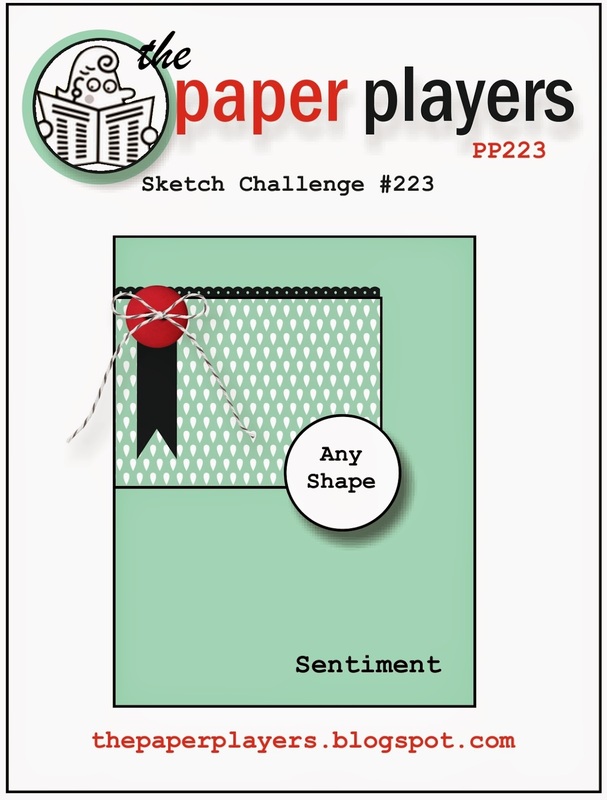 Thanks for playing with my Paper Players sketch this week! I love the trees and the pops of red on your card. Thanks for joining us over at The Paper Players this week. Fun card! I love the paper you used. Thanks for joining us at The Paper Players!